The dark, gloomy forest gives way to the houses and lanes of a quiet village nestled in the trees, behind a slow-moving stream. Solid wooden cabins with open windows and doors promise a comfort you have not felt in days. A dog bays somewhere in the distance. 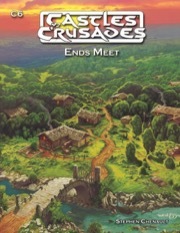 You have come, at last, to End`s Meet. 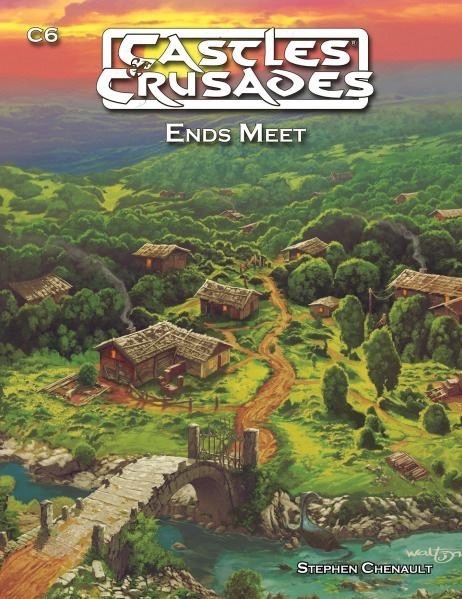 Sign in to start a discussion about Castles and Crusades RPG: C6 Ends Meet!